Every now and then, I take a break from the hustle and bustle of my home life and venture out to experience food that has been prepared by someone other than myself. In other words, I occasionally go out to eat to a restaurant. 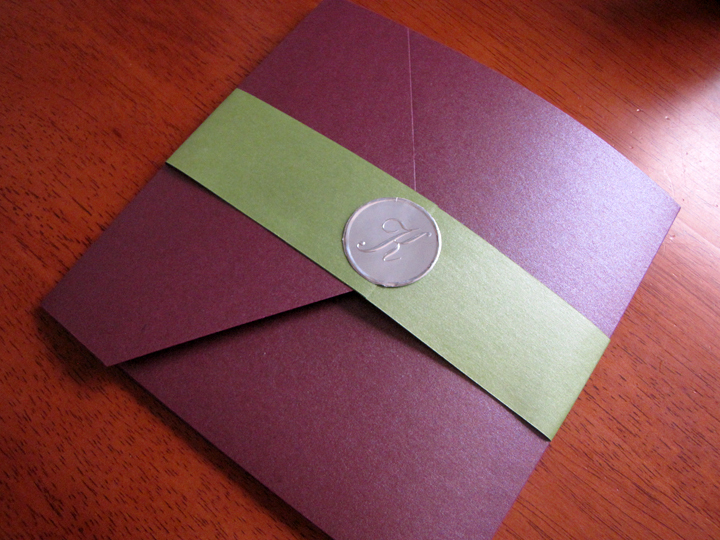 My latest outing was what inspired this idea. My sister wanted to take me out for my birthday and dinner at Lighthouse Restaurant in Cedar Lake was the natural choice. We had been there a couple times before so we knew it would be good. Plus, I adore their calamari. It is crunchy and tossed with a type of oil and mild pepper mix. It has just the right amount of sweetness and bite. They also know how to actually cook it the right way without making rubbery or bland. The first time I had the calamari, I was in love. I can honestly say that it isn't as good as that first time (is it ever?) but it's still, in my opinion, the best calamari around here. My main course was a bleu cheese crusted top sirloin steak. Yum, yum, yum! I prefer my steaks between medium and medium-rare which is difficult for some restaurants to make. It's understandable, of course, so I don't blame them for me being picky. 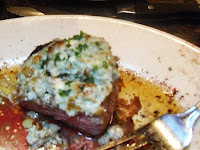 This steak, however, was cooked to perfection and the crust added a fantastically tangy flavor. I have absolutely no complaints about it. 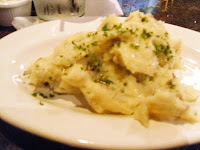 I also ordered some garlic mashed potatoes as one of my side dishes. If you aren't a fan of lots of garlic, you should probably leave these potatoes for those that love it. They are infused with a roasted garlic flavor and just the right amount of left-in potato skin. The extra drizzle of butter over the giant mound of mashed goodness is the perfect finish. 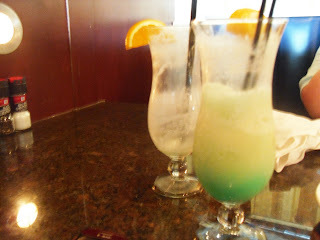 Last but not least, I write about my beverage of choice: Lake Side Agave Colada. It's basically a Pina Colada with the Lighthouse Restaurant twist. I love Pina Coladas. They're my favorite drink and it's hard to find a place that makes the coconuty goodness just right way. The Lighthouse made a really good drink. Their take on the classic Pina Colada has Blue Curaco added for that extra, special touch and Agave for a little bit of sweetness. And unlike other restaurants, they didn't skimp on the Rum. Good for you, Lighthouse! All in all, my experience at the Lighthouse Restaurant in Cedar Lake was quite good. The food was extremely tasty (just like every other time) and the service this past time was great. No one says anything good about service anymore, so I made sure to tell the manager before we left that our server was excellent. I place Lighthouse Restaurant high on my recommendation list and I know I'll definitely be going back! Last night I decided to do the uber mom thing and make some Rice Krispy treats. I bought some Rice Krispy Cereal when it was on sale a couple weeks ago just for this very occasion. Well, let's just say that I'm capable of making a 4 star, restaurant quality meal, but I can't make some damn Rice Krispy treats. Yes, that's correct, I'm apparently an idiot when it comes to melting some marshmallows in a pan. I read in a magazine that browned butter makes for some awesome tasting treats, so I thought I'd give it a try. I melted the butter and gave it another couple minutes to get a slight brown going while I got the rest of my things ready. Now, keep in mind that I've browned butter numerous times before (it's such a great, deep, slightly nutty flavor), so I didn't even think much of it. Well, when it came time to add the marshmallows... it all went wrong. I think the butter melting for so long got hotter than it should have; lesson learned: don't play around with plastic wrap and let your marshmallows burn in the pan. I didn't have any other marshmallows and figured I had nothing else to lose at this point, so I just added the cereal. It didn't turn out that badly and they're edible, but I'll definitely be sure to keep better watch on my marshmallows next time! Nothing sounded good for breakfast this morning. I was tired of cereal and I knew my son was also getting bored with cereal and waffles and pretty much everything else. Eggs were a possibility but they just seemed so blah on this rainy, dreary morning that was begging for excitement. Time to see what we had on hand. Hmmm....box of pizza dough? Perfect! I had everything I needed so why not make a breakfast pizza! I already knew it was going to be full of veggies because, as you've probably figured out by now, I always have zucchini in my fridge. It's my favorite vegetable and goes well with pretty much everything. I also still have a bunch of red peppers from the sale at the grocery store so I threw one on a stove burner to make a quickie roasted red pepper. I rummaged through the fridge to get a few more ingredients and off I went to prepare a yummy and nutritious breakfast. Preheat oven according to pizza dough/crust directions and prepare dough/crust as directed. 1. Put whole red pepper directly on stove burner over low heat turning occasionally when the area on burner starts to blacken. 2. Cook bacon until crisp. Drain and set aside. 3. Saute onions in about 1 tsp butter until soft. Remove from pan and set aside. 4. In same pan as onions, quick saute zucchini to soften slightly and set aside. 5. In small bowl, mix ricotta with garlic powder, salt and pepper. Spread on bottom of pizza crust. 6. Beat eggs with milk and scramble in about 1 TB butter. Season if desired with salt and pepper. Be careful not to overcook because they will cook slightly in the oven. 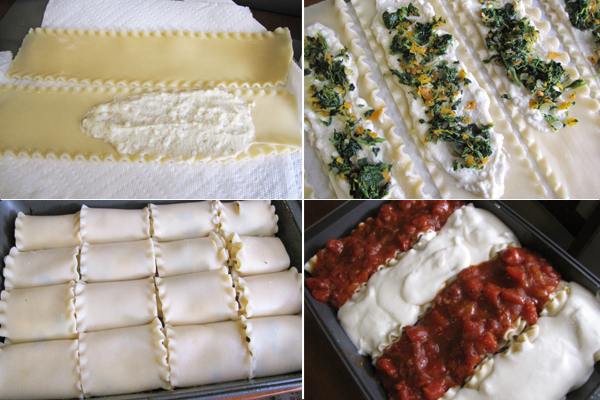 Spread evenly over ricotta on crust. 7. Sprinkle onions and on top of eggs. 8. When red pepper is black on all sides, place in a bowl (one large enough to hold the whole pepper) and cover with plastic wrap. Let steam in the bowl for 5 to 10 minutes and then, using a cloth, rub off the blackened skin. Slice half of the pepper and spread on top of the pizza. 9. Put zucchini rounds on top of peppers. 10. Sprinkle bacon on top of zucchini. 11. Spread both cheeses evenly over the whole pizza and then garnish with the green onions. Bake according to dough/crust directions until cheese is melted and starting to brown, about 15 to 20 minutes. 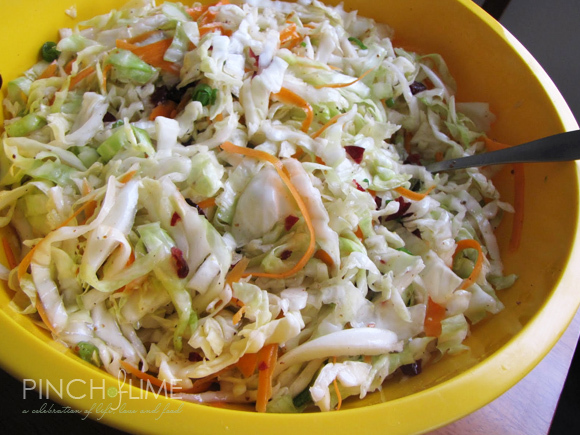 It's time for another salad side dish to go along with all the summer BBQs and cookouts! This recipe comes straight from my mom and it's too good not to share. She has been making this pasta salad for years and it's always a hit at every get together. I'm not sure when the first time was that she made it, but it's always requested and loved by everyone, especially my husband. If he had his way, I'd be making this pasta salad every week! Like every good cook who has their own signature dish, my mom never wrote down how much of each ingredient she put in the salad. It would always taste the same though and always be so good that it was never really a problem. She would mix up the dressing, give it a taste, and then add a little bit more of whatever was needed to get just the right tangy flavor. I happened to make this salad for the last family event but only had ingredients to work from. I mixed it up a couple times until I felt that I got it 'mom-perfect'. I added a little of this and a little of that and the final result was a creamy, tangy, fresh pasta salad that goes great with pretty much anything! 1. Cook pasta until al dente according to package directions. 2. Drain and rinse under cold water. Let dry slightly. 3. Mix dressing ingredients together. 4. Mix remaining ingredients together and toss with ¾ of dressing, reserving the rest. You can mix in all the dressing when first making the salad if you'd like. It will seem like it's too wet, but it will get drier overnight. I'd recommend only mixing in part though because you'll have more control over the consistency and moisture. Need a smaller serving? The following will serve 6 to 8 people. Looking for a colorful side dish that is full of good-for-you vitamins? This is a very simple side that takes virtually no time to put together. It's a mild dish with a little flair that lets the main dish stand out. I made it as a nutritious accompaniment to my Lasagna Roll Ups and I think you'll be quite pleased with the final product. 1. Boil enough water to cover green beans. 2. Snap off hard ends of green beans. 3. Once water has reached a rolling boil, boil green beans for about three minutes. 4. Remove beans and shock in ice water to stop cooking. 5. Melt butter in large saute pan. 6. Add onion and red pepper and cook for a few minutes or until starting to soften. 7. Drain and add green beans to pepper and onion. 8. Saute over medium-high heat until green beans are hot. There really isn't much to say about this recipe except 'yum.' I could tell you that I wanted some lasagna but then I'd be lying. I could tell you I wanted some spaghetti, but that wouldn't be true either. I really just wanted to try and make some roll ups. I had some ricotta in the fridge and I wanted to use it up before it went bad so I thought this would be the perfect way to use it. I had everything but the noodles so I went for it. This recipe is a bit time-consuming, but it was definitely worth it. As for the red and white...well, I simply couldn't decide what kind of sauce I wanted so I made both! 2. When done cooking, submerge in cold water to stop cooking. 3. Lay out on foil in single layer so they don’t stick. 1. In medium saute pan, cook onion, garlic, carrot and salt in butter for about 7 minutes or until soft. 2. Add spinach and stir to heat through. Set aside. 1. 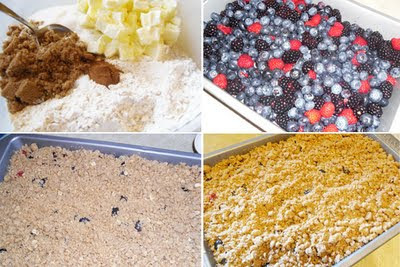 Mix all ingredients together and set aside. 1. Melt butter in saucepan and add flour. 2. Cook for about 2 to 3 minutes over medium-low heat until slightly thickened, light golden in color and has a hint of a nutty smell. 3. Slowly add milk a little at a time, stirring well between additions. 4. After all milk has been incorporated, turn heat to medium and add parmesan cheese. 5. Stir continuously until cheese is disolved. 6. Turn heat to medium-high and add cream cheese and salt. 7. Stir until cream cheese is melted. 1. Cook onion, garlic and salt in oil over medium heat until softened, about 7 minutes. 2. Add tomatoes and sauces and stir well. 3. Add all spices and turn heat to low. 4. Simmer for about 15 minutes. 1. 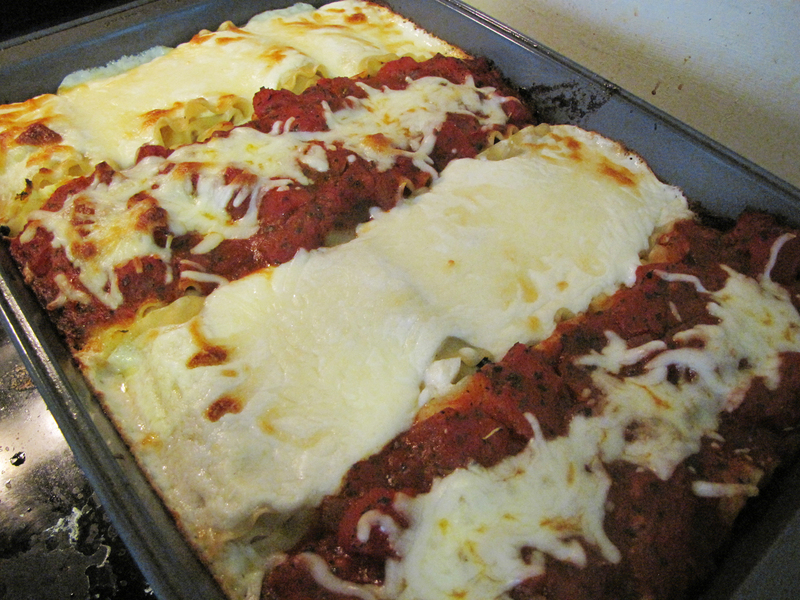 Spray a 13x9 inch pan with cooking spray and spread about ¼ c of red sauce over the bottom. 2. Take one noodle and spread about 2 TB of filling 2 over half of the noodle. 3. Sprinkle about ½ TB of filling 1 over filling 2. 4. Roll the noodle from filling end to non-filling end and place into pan, seam side down. 5. Repeat with remaining noodles. 6. Spoon white sauce over one row of roll ups. Spoon red sauce over next row. Continue alternating colors until all the roll ups are covered. 7. Bake, uncovered, for 20 minutes. 8. Remove pan from oven and sprinkle a little mozzarella cheese over each row. 9. Return to oven and cook for another 15 minutes or until starting to brown. Allow to rest for 10 minutes then serve. Tonight's side dish was somewhat inspired by a friend. I had no idea what to make for dinner so I reached out to my facebook community of friends and got some pretty good suggestions. One said tacos, but I'm not really a taco fan. Another said gyros, but I told him that I had to cook with what I had on hand; gyros was definitely not one of those pantry ingredients. Another friend had the wonderful suggestion of brinner. You know what brinner is, right? That lovely combination of the two favorite meals of the day: breakfast and dinner. I'm not sure how long that word has been around, but it has become a word that equals a nice little break from routine and a pleasant treat at supper time. Brinner sounded good to me because I had some sweet potatoes that needed to be used up and I thought, what better way to use them up than in a sweet potato hash with a cheese omelet! And, well, french toast for the little guy because he refuses to eat eggs unless his grandpa makes them. Thanks for spoiling my kid with your awesome omelets, dad! Cook potato in oil and butter for 5 minutes over medium heat. Add onion, pepper, and spices and turn heat to medium-high. Cook for another 7 to 10 minutes or until all ingredients are tender and starting to brown. I don't know about you, but when summer gets here, it seems like there's something to do almost every weekend. It becomes the busiest time of year with birthday parties, graduations, weddings, and best of all, cookouts. I've had a few over the past month or so and when you're the one hosting the events, there's so many things to do that I try to make food prep as easy as possible. I've modified the following taco salad over the years to make it something that's pretty easy to put together and light on the budget as well. 1. Cook and drain the ground meat. Set aside to cool completely. 2. In a large bowl, mix 3 tsp of the taco seasoning into meat. 3. Mix next six ingredients with the meat mixture. 4. Mix salad dressing and 1 tsp taco seasoning together and then mix into meat mixture. 5. Crush Doritos into small to medium pieces and add to the salad about 1 to 2 hours before serving. Makes 2 half foil pans, which enough for about 30 - 40 servings. If you're making this the day before, omit lettuce until a few hours before serving so it doesn't get too soggy and add an extra 1/4 cup Western Dressing. Today was an absolutely gorgeous day for outside fun. It was also a great day for grilling. I decided to take advantage of the weather (and the sale on mangoes at the grocery store) to whip up a BBQ sauce for some grilled chicken. I love to make my own sauces for everything, when possible, and I've always wanted to try my hand at a sauce that features mangoes as the main ingredient. Mangoes offer such a subtle, sweet flavor that just begs for creative uses. The creative use for today was in the form of a spicy and sweet sauce that just screams summer. 1. Pulse mango and chipotle pepper in food processor until smooth. 2. Pour into saucepan and add remaining ingredients. 3. Simmer over medium-low heat for about 20 minutes. 4. Cool to room temperature. Can be used as a basting sauce for grilling chicken breasts, pork, or fish. My son used to absolutely love zucchini. We started giving him soft cooked zucchini after he started eating solid foods and he just couldn't get enough! Well, I was one happy camper because I just couldn't believe that I actually had a kid who loved vegetables. And zucchini, my personal favorite, at that! What's not to love about the mild flavored squash. It tastes great and there's so much you can do with it. Cook it by itself, mix it with some pasta, deep fry it....you can even make bread with it! It was the go-to veggie in my house because I knew it would always be a hit with everyone. Well, shortly after my son turned two, everything changed. He wants nothing to do with most vegetables these days. I can usually get him to eat a few carrots, but if you put anything green on his plate, it will just sit there all lonely getting cold. And I'm not sure where he picked up the lovely 'no like it' phrase but you can be sure to hear at that most dinners. After some frustrating conversations and bribes, I was at a loss. I want him to always have nutritious meals and, unfortunately for him, that involves eating a variety of veggies. Think, think, think. What do kids love. Fries! Every kid loves fries, right? Of course they do. I swear it has to be in their DNA. Well, what if I made zucchini that looked like fries? I tried out my idea at the next zucchini-enhanced dinner. I took a zucchini and cut it in half length-wise. I then took each half, placed it cut side down and sliced it again horizontally. Then I cut each slice into about four pieces. This leaves strips that are about 1/4" in diameter. To soften them up and remove some of the liquid, I sprinkled them with a little salt and had them sit in a strainer for about a half hour or so. I then gave them a good rinse, patted them dry, sprinkled them with a little pepper and sauteed them in a little butter and garlic until they started to brown slightly. I served them up and told my son that he should try the zucchini fries that I made special for him. They were a success! I now cook zucchini like that all the time and he just muches away happily. Hey, sometimes all it takes is a little creativity in the kitchen to get kids to eat their vegetables. Do you have any food dishes that you've transformed so your kids will eat them without a fight? Who doesn't love fresh strawberries? 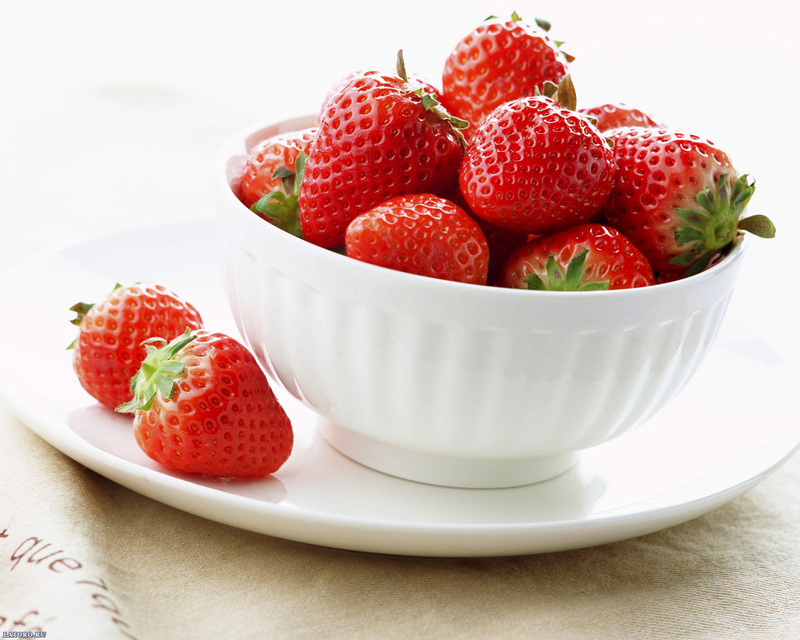 With their bright red color and subtle sweetness, the ever-so-popular strawberry is the perfect choice for so many scrumptious dishes. 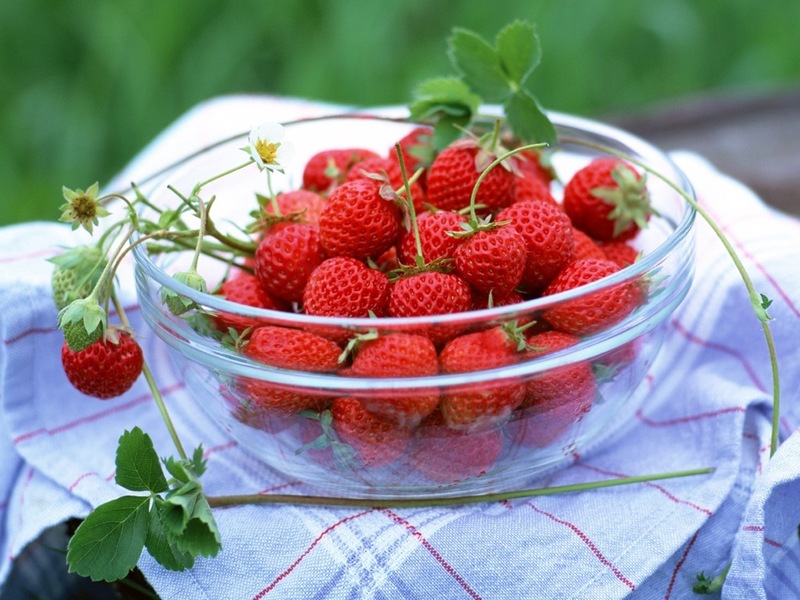 Strawberry season is in it's prime right now so you've probably purchased your share from the local grocery store or farmer's market. If the price was right, I bet you stocked up on those little berries of goodness, too. If that's the case, you may be asking yourself, "What the heck do I do with all these strawberries?" 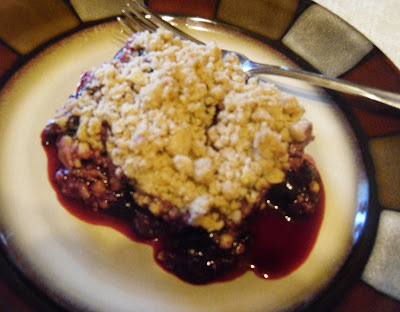 Well, if you're in the mood for some fancy shmancy recipes, I'd definitely suggest checking out The Joy of Baking: http://www.joyofbaking.com/StrawberryRecipes.html. They've got everything from Strawberry Cheesecake Ice Cream to good old-fashioned Strawberry Shortcake. In my strawberry research, I also came across a couple websites that are chock full of all things strawberry related. The other is California Giant Berry Farms: http://calgiant.com/springinyourstep/. 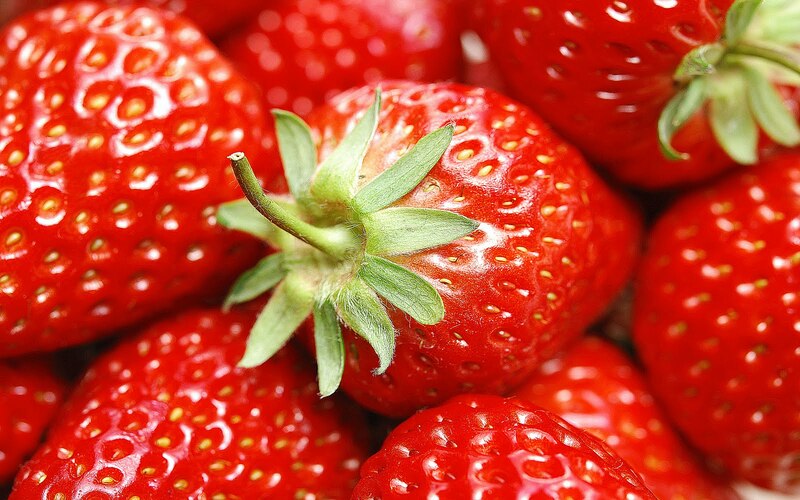 This website isn't just about strawberries; it's about all berries in general. And when you have a surplus, it's nice to know of some 'not-commonly-thought-of' ways to use them up. One great idea: using frozen berries in your summer drink instead of ice cubes. Or use a bowl filled with berries as an art project prop. Don't worry though, there's also a few good recipes to satisfy those sweet tooths.